As the Blackhawks push for a secure spot in the postseason, Chicago has received an incredible contribution from rookies. In fact, looking deeper into the numbers indicates the Hawks have relied on their rookies more than almost any other team in the postseason hunt. Consider that through Wednesday night’s action, only 22 rookies in the NHL have scored five goals this season and three of them – Marcus Kruger, Andrew Shaw and Jimmy Hayes – are Blackhawks. But the impact runs deeper than three guys scoring a few goals. When the dust settled from Wednesday night’s games, there were 11 teams with a realistic chance at playing in the Western Conference playoffs. Four of those 11 teams are in the Central Division, of course. And each of the 11 teams have been impacted by rookies. As you can see, only the Nashville Predators have used as many rookies this season as the Blackhawks. But what’s more, the Blackhawks have needed more from their rookies. To date, the Blackhawks have received 162 games from rookies this season. From these 11 teams, only the Preds (218) and Flames (165) have used their rookies in more games than the Hawks this season. Circling back to the production we mentioned earlier, the Blackhawks have also received significant contributions from their rookies. Hawks rookies have combined to post 47 points (23 goals, 24 assists) this season, with Kruger’s 22 points leading the way. Only six of the nine rookies to play for the Hawks this year have a point; Brandon Saad, Brandon Bollig and Jeremy Morin have been held off the score sheet to date. Again, only two from the list of playoff hopeful teams have been impacted on the stat sheet more than the Blackhawks. Nashville, led by Craig Smith’s 33 points, have seen their rookies add 76 points. The Avs are the other team with more rookie points than the Hawks this year, with Gabriel Landeskog’s 46 points leading a rookie class in Colorado that has produced 67 total points. When you consider these number for the Blackhawks do not include the production from 20-year-old defenseman Nick Leddy (31 points in 71 games), the youth being employed in Chicago this season has been impressive and among the best in the Western Conference. The amount the Hawks have needed rookies might give some fans a moment of pause when considering the 2012 postseason, but that concern should be coupled with intrigue at what future seasons may bring. The knock on the Hawk’s prospects is that there aren’t any elite level – top-3 / top pairing guys, and that appears to be true. But, really, so what? The Hawks have as many or more elite players than most of the teams in the league with #’s 19, 88, 10, 81, 2 & 7. The Hawk’s rookies/prospects are good enough to play in the league and good enough to be depth players to supplement the elite players – just what the team needs. Truthfully, Glenn, the Hawks do have some kids in the sytem that could be top-six forwards or top-four defensemen… but those aren’t the kids that are contributing this year. We honestly haven’t seen enough from kids like McNeill, Danault, Kevin Hayes, Morin or Saad to say they will never be good enough to be top-six forwards (many think at least three, if not four, from that list alone could be top-six good). You make a good point that the Hawks have four of that top-six already locked in, so the opportunities are limited. But if you look at championship teams, it’s having should-be top-six forwards skating bottom-six minutes that give teams overwhelming depth. Great example: look at what Versteeg & Ladd, two third line guys in 2010, are doing this year. So if the Hawks end up w/ Morin & Jimmy Hayes on the third line, does that mean they aren’t good enough to be top-six, or that the Hawks just have enough talent that they have good players all over the roster? On the blue line, Olsen might eventually be a #4, but isn’t right now. Clendening & Johns might eventually be good enough for top-four minutes as well. But when you have Keith & Seabrook locked up as the top pair for 5-7 years, and it looks like Leddy’s in for the long-term, there’s one top-four spot left… so…. same situation/problem. It’s better to have too much talent than be scrapping for recycled veterans. Let em fight for minutes. Tab, I like Olsen but do you agree with me that he looked really shaky out there against St. Louis? Maybe it was the pressure and intensity of the game. I would probably use the word “cautious” for Olsen on Tuesday night. Remember that he was skating w/ Hjalmarsson to start with, which he hasn’t done (ever? 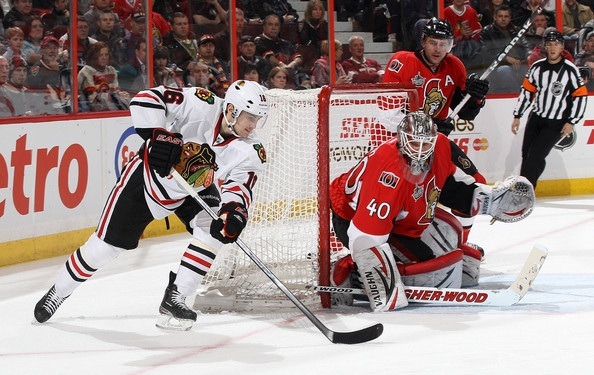 ), and then Hjalmarsson left the game prematurely. One knock on Olsen coming out of college was that there was a reckless streak in him, so seeing him take his foot off the peddle and play cautious impresses me to a point. I did appreciate him stepping in when Langenbrunner took the cheap shot on Stalberg, though. Personally, I would like to see Olsen play more physical, but I’m ok w/ his measured approach as a 21-yr-old rookie on a team battling for playoff position. Good point. I just had that feeling every time he had the puck that he was uncomfortable and about to turn it over. In prior games I had not noticed that. That being said, I would much rather have him out there learning, making mistakes and getting better than having O’Donnell out there. 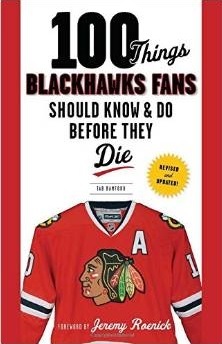 And don’t forget that outside of those 9 rookies and the aforementioned Leddy, the ‘Hawks have Toews (23), Kane (23), Frolik (24), Hjalmarsson (24), Bolland (25), Seabrook (26), Stalberg (26), and Bickell (26). Plus all are signed through next year. I know Frolik, Bickell, and Hjalmarsson have all been lamented by a majority of the fan base, but to me Hossa is the only winger that has been better defensively than Bickell and Frolik and long for the day when Q remembers that punching people in the face doesn’t win important hockey games, sending Boling back to Rockford, Shaw to the 4th line (where his energy and recklessness is more suited), and puts Frolik back on the 3rd line. He may not be the scorer that we thought he would be when he was acquired but he has been a pleasant surprise defensively and with some added strength could be a very nice bottom 6 player. 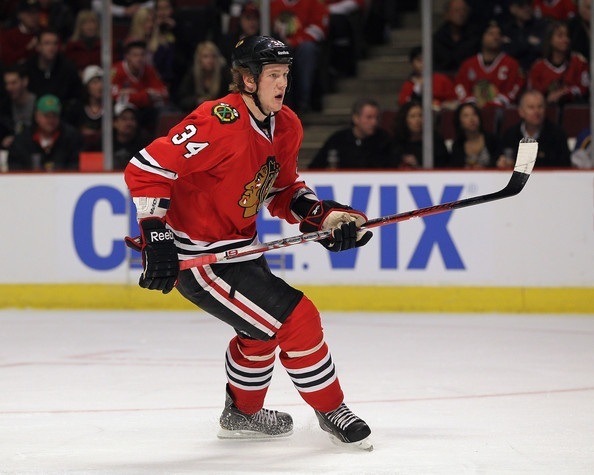 As for Bickell, I think we know what he is. He’s a huge guy that plays like he’s 6’ 180, but he’s usually defensively responsible, does deliver a good hit from time-to-time, and has a nice snap shot. Hjalmarsson’s skating ability is limited and he isn’t a hitter, but he is fearless when it comes to stepping in front of shots and has a nice slapper of his own, I just wish he would unleash it more often. At just 24, I think he still has the ability to grow by continuing to improve his positioning and decision-making with the puck. Still think he can be a solid 4 or great 5. Is he making more than he should? Yes, but the money isn’t so much that I want to see him in another uniform just yet, especially when the ‘Hawks have $8m in cap space next year (if the cap stays the same, and if the cap goes down will the return for Hjalmarsson’s contract be worth the loss of his production?). Hey Tab, I didn’t state it very well because I meant that none of the Hawk rookies/prospects would be considered elite #1 type players at the five skating positions. There could be and hopefully are some top-6 / top-4 guys and besides that projections are just that – projections. A Saad or McNeill or any of those guys could end up being an allstar/elite player. I’m just going on the scouting reports and prospect assessments available. But like I wrote earlier – so what? The Hawks have their elite core already playing in the NHL and there’s a pretty good chance their prospect pool will provide what they need to ice a team good enough to win another Cup.